Leolux is one of our favorite European furniture makers. Each and every piece they offer is hand-crafted at their factory in the Netherlands for a personal, bespoke feel to everything they offer. All made to order with countless customizable options that you can choose easily via the furniture customizer on their website, no two pieces from Leolux are alike. New to the Leolux catalog are three new sofas that offer three distinctly different design options. 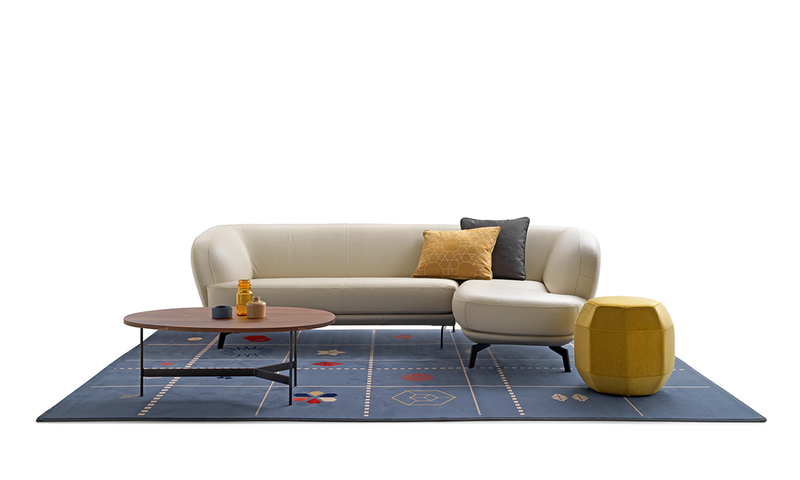 Brand new for 2019, the Flint sofa offers an extensive amount of customizability in its three main configurations. Whether you choose from the sofa, chaise lounge, or the sectional configuration one thing remains the same – the organic shape of the armrests creates a welcoming feel that makes you just want to lounge. You will be able to create your own personalized Flint sofa using Leolux’s collection of luxurious leathers and fabrics, and even create a matching footstool as an add-on. Originally introduced last year, the Devon sofa program continues to shine as one of designer Jan Armgardt’s biggest achievements since he began collaborating with Leolux in the 1970s. With some 14 configurations available as well as a matching footstool, Devon true beauty is in the wonderfully thought-out details. Subtle butterfly stitching on the corners and a cross seam that adorns the seat and back, the subtlety Devon’s design and fully customizable comfort is truly glorious. Last, but definitely nowhere near least, is the Elias sofa – which is available in 2.5, 3, and 3.5 seat sofa configurations. This sofa was also introduced in 2018 but only recently caught the eye of our designers here at Divine. The beauty in Elias comes from its simplicity. With its low-slung armrests that extend to the rear of the sofa, decorative stitching, and slender legs, Elias provides elegance in its simplicity. These sofas from Leolux are just a tip of the iceberg in terms of their product offering. If you have questions about these sofas or any other product that Leolux offers, feel free to visit Divine Design Center online, call us at (617) 443-0700, or stop by our Boston Waterfront showroom at 2 Battery Wharf.